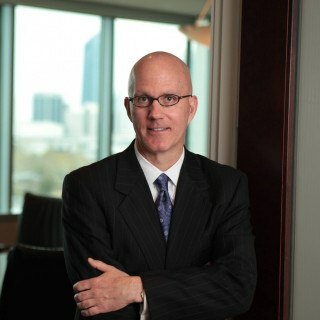 Jacksonville Criminal Defense Attorney and founder of Roelke Law, P.A., William Roelke fights aggressively to defend those facing criminal misdemeanor and/or felony charges. Roelke's practice areas include DUI/DWI, drug charges, violent crime, weapon violations, domestic violence, juvenile defense, theft crimes and all other misdemeanor and/or felony offenses. With over 20 years experience as an attorney, William Roelke confidently defends his clients, no matter how severe the charge. Roelke treats his clients with dignity and respect, understanding that accused charges do not characterize an individual, and he therefore fights diligently to showcase his clients in the same way. Roelke states, "I enjoy practicing criminal law because of the personal connection that comes with getting to know my clients and working to protect their rights and interests during one of the more challenging times in their lives." The Jacksonville criminal defense lawyer also provides experienced legal counsel on administrative matters, such as license revocation hearings, protective order hearings, bail bonds, and early termination of probation. To learn more about defending your rights against criminal accusations, call (904) 354-0333. Your initial consultation is free and will provide you with all of the information that you need to make an informed decision about defending your rights. No matter which type of legal matter you face, William Roelke's ultimate goal is to provide the best case for his clients so they can move forward with their lives. Fallgatter Farmand & Roelke, P.A.